Spring is finally upon us, and it’s time to celebrate with a brand new Yumiko promo! International readers, don’t worry! These certificates can also be redeemed on international orders over email/phone. This time we’d like you to think about your favorite choreographers. Over the years, we have featured here many different names, from 19th and 20th century geniuses, to modern masters. Without people like Petipa, Balanchine, Bournonville, Ashton and MacMillan – to name but a few – ballet would be a much poorer art form. Just as we now look up to choreographers like Ratmansky, Wheeldon, Liam Scarlett, Justin Peck, and their contemporaries to take the art form further, to continue to expand the repertory of ballet companies around the world and create new opportunities and exciting roles for dancers. 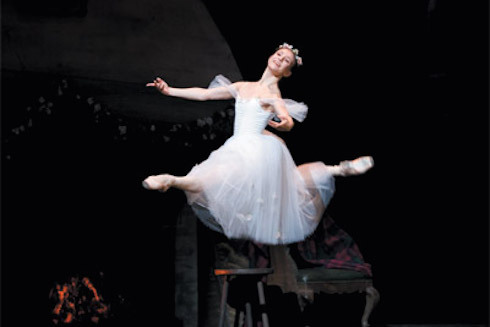 Who is your favourite ballet choreographer ever, classical or modern? Use the comment form below or email us ( theballetbag [at] gmail.com ) by 22 April 2015. Entries from all over the globe are welcome. It is sooooo difficult to choose just one favorite choreographer. After all, there are so many choreographic geniuses. For example, George Balanchine is known for his own unique style of ballet, his numerous ballets (Jewels, Seranade, Stars and Stripes etc…), and founding the NYC Ballet and SAB. There is also Martha Graham, who is known for her unique contemporary technique, and starting the Martha Graham Center of Contemporary Dance. But as I tried to decide on just one ballet (or contemporary) choreographer, I realized that they aren’t the only types of choreographers. There are also those whose works have been or are displayed in Hollywood and/or on Broadway (like Bob Fosse). After considering all of this, I still ended up choosing a ballet choreographer. Victor Marius Alphonse Petipa has to be my favorite choreographer. I know that he is super famous and several people have probably already written (in length) about his brilliant choreography. After all, Petipa choreographed over fifty amazing ballets (such as Sleeping Beauty, Pharaoh’s Daughter, and La Bayadère)! But, he is my favorite for a special reason, Petipa choreographed my favorite ballet, Don Quixote. He took the original novel by Miguel de Cervantes and created it into a beautiful work of art that he set in four acts and eight scenes. As the story plays out I can’t help but to fall in love with the characters and the choreography. For all of these reasons, this is why Petipa is my favorite choreographer of all times. Out of all of the ballet choreographers I could choose, I would have to say that Jules Perrot is my favorite. Now, there are other famous choreographers that I could have picked. For example, Marius Petipa, one of the most influential ballet masterminds who choreographed endless beautiful masterpieces. Or the well-known George Balanchine, known for his unique choreography and, of course, the legendary New York City Ballet. However, I truly admire Jules Perrot who is such a choreographic genius. He has created such beautiful classical works such as Faust, La Esmeralda, Pas de Quatre, and, my all-time favorite, Giselle, just to name a few. Jules Perrot became a ballet master at the world-renowned Mariinsky Ballet (originally the Imperial Ballet) located in St. Petersburg, Russia. His ballets have truly inspired me and continue to inspire me today. I have to say that George Balanchine is my favorite choreographer of all times. The exciting musicality and tempo in all his ballets make me feel inspired and thrilled as I watch the dancers on stage. Although the dancers are required to have an enormous speed on stage,creating an athletic quality, they make it look effortless in front of an audience. The Ballet Jewels has to be one of my favorite works of the great Mr. Balanchine because it almost seems as if he created 3 ballets in one performance because of the different ranges in movement. The diversity of Emeralds, Rubies and Diamonds is beautiful and gives the audience a night to remember. The ballet has an elegant quality and slow swift movements from the dancers, changing into fast and quick movements that portray a sense of power and superiority by the dancers. The costumes are breathtaking and support the vibe and colors of the Jewels. Apollo is also a great Ballet because of the simplicity of the costumes that have the audience focus on the dancers technical quality and expression alone. The white costumes underline the long lean lines that Balanchine loved to see on a dancers body. The muse of poetry, mime and dance during the Ballet express what it takes to become an astonishing dancer. There are so many companies that are dancing Balanchine’s works on stage because he expanded the form of Ballet and had such an influence on the history of Ballet. His works could either be pure classical, with a romantic touch or modern with straight and precise movements that influenced the importance of contemporary in Ballet. I am currently taking a choreography class and it has opened up my eyes to the intricate world of making dance. I used to be solely focused on the ability of the dancer, only intrigued by multiple pirouettes and high extensions. I feel that the class I am taking has matured my perspective. Now, when watching dance, I try to look for the meaning of the movement, wondering, “how does this work change/challenge/effect my stance on something?” Being that all movement communicates. Some choreographers are better at communicating a perspective better than others though, and in my opinion, William Forsythe is one of the best at explaining through a nonverbal language. Forsythe is excellent at manipulating time, space, and energy. His work draws you in and toys with your emotions. In his work, New Suite, one of the pas de deuxs leaves the entire audience in awe; you can actually hear gasps, and if you look around the crowd, a few dropped jaws (including my own). Not many choreographers can do that, which is why William Forsythe is my favorite. It was really hard to narrow it down. but I think my favorite choreographer is the one and only George Balanchine. I love the Balanchine style; it’s very dynamic and very fun to watch. I hope to go to SAB’s summer intensive one day, even if the SAB students’ claws are not my favorite thing! His style is evident in all his ballets too, and that’s probably a reason why I love his choreography so much. One of my favorite classical ballets by him is Symphony in C. I had the pleasure of watching it at the Rock School for Dance Education last summer. Since I’m going to their summer intensive again this year, I hope to get to perform in it. I also really like Agon, one of his neoclassical works. Stravinsky’s music is simply breathtaking, and it along with the choreography sets a slightly sensual tone, in my opinion. To have to narrow down my favourite choreographer to just one person is a pretty hard thing as I enjoy watching the beautifully crafted works of the many artistic geniuses that exist in both the classical ballet and modern contemporary world, such as the classic Balanchine, Frederick Ashton, Christopher Wheeldon and Wayne Mcgregor! One of my more recent favourite choreographers that i have started to notice more all thanks to PNB, is the marvelous William Forsythe. As I live on the opposite side of the world, I have not had the opportunity to watch any of his works live before. However just from avidly watching youtube video after video has already got me hooked on all his pieces I could find. I feel that he is one of those choreographers where your eyes never leave the stage when the performance is ongoing as I find myself fully engaged in his dances. I love how he uses the dancers’ bodies to create beautiful lines and structures, always exploring different ways to push one’s boundaries. In ‘In the middle somewhat elevated’ I love how he distorted and added a new dimension to the normal ballet lines and my favourite step is the side developpe jump which complements the strong note in the music. His choice of music and costume always perfectly complements the movements too, especially in the ‘Vertiginous thrill of exactitude’ (the tutus are so cool and help show off dancers’ lines!!) I really hope to be able to watch one of his dances live in the future and it would be really lovely to win this yumiko giveaway too! Thank you Theballetbag!!! Jiří Kylián has to be my favorite choreographer. Contemporary ballet with exquisite attention to detail in his choreo. The partner duets he creates flows so well together. It shows grace and beauty and captures the strength and power and preciseness of a dancer. The connectivity between the dancers is wonderful. Yumiko shorty unitards and ballet cut leos would look stunning with some of his work! Christopher Wheeldon! I have a feeling he will be the next Balanchine. After the Rain is so simple, raw, and beautiful. Also, Variation Sérieuses is the only ballet to truly make me laugh out loud. My favorite choreographer is George Balanchine. He is wonderfully creative and no matter how many times I see one of his pieces I will never get tired of any of them. He brought a fresh new aspect of classical ballet to the world and I love his work and even when I dance a Balanchine piece, I get a rush of happiness through my body. He is a genius in many ways, and he has benefited so so much to our dance world that we have today.